SKC’s associate degree in nursing (ADN) program allows students to become licensed as an RN upon successful graduation. The program is heavily focused on practice in rural and Native American healthcare environments, in line with the school’s identity as a tribal college. Students must complete several prerequisites, including English and psychology, before applying to the program. 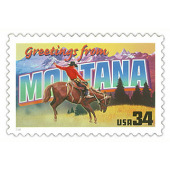 Montana’s RNs earn a median annual salary of $58,840. City College offers accredited associate’s degree programs in both licensed practical nursing and registered nursing. City College graduates have worked for major Montana healthcare employers like Billings Clinic and Philips County Hospital. Montana residents should budget $10,618 in tuition for the LPN track and $15,100 for the RN track. Miles offers both full-time and part-time ADN programs. Students can graduate from the full-time program after two years of study. However, the part-time track may be more appealing for students who are juggling work and school, as classes are usually held in the evenings. Montana has more than a dozen prelicensure associate’s degree programs in total. We provide additional information on all of them below.